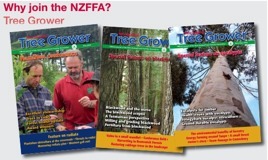 Rob Webster, New Zealand Tree Grower May 2007. Coast redwood is a native of northern California and a very small area of southern Oregon. It has been planted in localised areas in New Zealand on a number of occasions in the past century. These stands, with only one or two exceptions, have received negligible management input. 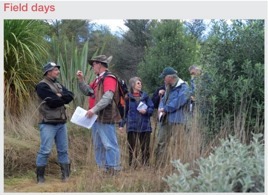 However, they do provide valuable information on how well redwood can perform in New Zealand on a wide range of sites. New Zealand grown redwood has received little attention in the past as a viable species for plantation management. This was primarily because the huge American market relied heavily on old growth indigenous forests that produced wood of high natural durability and the wood produced from short rotation plantation forests could not compete on quality. However, the nature of the Californian resource has now changed dramatically. Virtually all old growth forests are protected in reserves and over 95% of the lumber sold on the US market is from fast grown second growth forests, with entirely different wood properties. Trial exports of timber from New Zealand grown stands has demonstrated that New Zealand plantation grown redwood is comparable in quality to Californian second growth stands and finds a ready market there. The demand for redwood on the US market remains strong. In addition there is considerable demand for redwood from off-shore markets, particularly Asia. This has resulted in a steady increase in the price for both logs and timber. Redwood timber is light, dimensionally stable and is easily worked. The sapwood is creamy coloured, whereas the heartwood varies from pinkish-red to brown, is naturally durable and does not require treatment. The timber is used for appearance grades, including panelling, weatherboards, decking and outdoor furniture. There have also been numerous examples where New Zealand grown redwood has been used to good effect in this country. Managed Californian indigenous forest is on an average a 60 year production cycle, but New Zealand plantations can produce comparable logs in 30 to 35 years. In addition to the outstanding growth rates and the strong market fundamentals, redwoods have other significant advantages for New Zealand plantation management. The roots of redwoods remain alive after harvest and re-coppice. This reduces the potential for erosion on steep hill country and minimises the need for re-establishment, saving costs. Redwoods are shade tolerant and are capable of being managed under continuous canopy systems. Redwood plantations will therefore qualify under the government’s Permanent Forest Sink Initiative. Californian coast redwoods offer significant potential as a viable species for New Zealand plantation management and are complimentary to radiata pine. They have the considerable advantage over other alternative species of sizable existing markets that pay significantly higher prices than are offered for pine.